Fliss Fleck is a trainer and facilitator with 15 years experience working in the field of art and disability. She has a Higher Diploma in Ceramics from Harrow School of Art, and completed Community Tutor Training with Community Music Wales. As Arts Co-ordinator she worked for 12 years with Celf o Gwmpas disability arts organisation. Aberystw:yth University-Widening Participation Project, Arts Care-Gofal Celf, Arts Connection, Barnados, CARAD, Cynllaw, CMW, Gingerbread, Mid Powys Youth Theatre, Powys Dance, Red Kite Theatre, Primary, Secondary and Special Schools in Powys & Carmarthenshire, Powys Young Carers, R.N.I.B, Youth Services, Young Offenders Service, Pembs Drug Rehabilitation Programme. Heather Murray is a Music Therapist state registered with the Health Professions Council since 2000. Heather worked for 9 years in the Arts Therapies department of the Learning Disabilities Directorate of the NHS in Gwent, working with adults and children, with individuals and with groups. She was a lecturer on the MA in Music Therapy at the Royal Welsh College of Music and Drama, providing trainees with Clinical Supervision. Merthyr Tydfil Council, Gellideg Project, Global Village Festival (Merthyr Tydfil), Head4Arts, RCT Carers Project, Bridgend Stroke Association, Canolfan Soar, Aberdare Group for People with Visual Impairment. Formed and runs an inclusive community singing group in Merthyr Tydfil, part funded by Communities First, recent prize winner in the 2013 Crystal Trophy Awards for ‘outstanding community projects which promote health and well being’. Japanese Taiko Drumming training in Japan, funded by Arts Council Wales, leading to Taiko drumming for health and wellbeing workshops and projects in Wales. With ‘Taiko Wales’, providing workshops at the Hijinx Theatre Unity Festival 2013. Morag Colquhoun is a professional artist with 18 years experience of art education and training. Morag has an MA in Fine Art and a PGCE teaching qualification. She currently teaches part-time at Cardiff School of Art and Design. Morag has a particular interest in art and disability. In 2008, she worked on a project with Engage (the National Association for Gallery Education) that explored the experiences of deaf and disabled gallery visitors. She has also worked as a Coleg Harlech art tutor for a mental health project and as a workshop leader for Celf o Gwmpas – disability arts organisation. Jenny Fell has developed her art practice in a variety of ways over the past thirty years whilst also working in related fields such as arts administration. She has also been involved in artists’ groups such as Aberystwyth Printmakers and the arts and environment group Creu-ad. As a member of Creu-ad she has worked in partnership with the former Countryside Council on public art commissions- these have involved the participation of community groups. Alongside producing her own artwork , for a number of years she has worked with a wide spectrum of the community by facilitating creative projects and workshops. 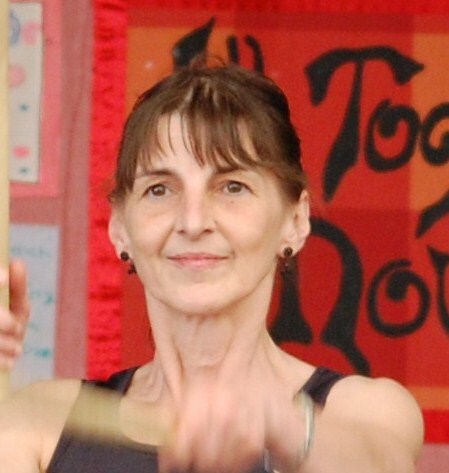 She worked for a number of years as Arts Organiser with Powys-based Celf o Gwmpas , setting up arts projects and enabling adults with learning disabilities to access these and other arts and events in their communities. On the basis of her experience of working with community groups through art, she went on to work in Arts in Health, being appointed Artist in Residence in community hospitals across N.E.Wales for almost 10 years. She worked with patients on a range of collaborative creative projects in various media. Whilst involved in this work she began a 2 year period of study in Art Psychotherapy and obtained an M.A in 2007. Jenny continues to work as an artist-both on her own work (illustration and print-making) and with the community as well as an art psychotherapist working mainly with older people and those living with dementia.